This Song Will Save Your Life paperback release is coming! 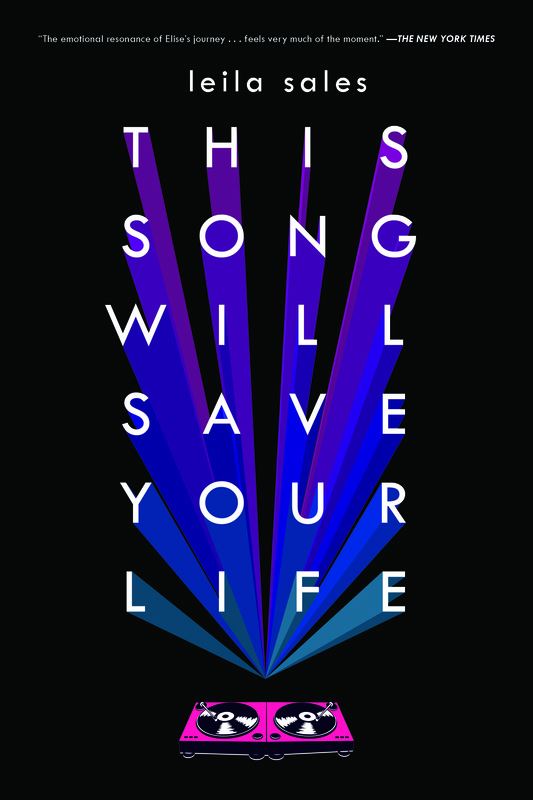 This Song Will Save Your Life comes out in paperback on April 14. That is really soon! 1) An awesome new cover! 2) A revealing interview between me and my editor! 3) Brand-new Elise-curated playlists for everything from “Best songs for doing homework” to “Best songs to get over a breakup”! 7pm, Monday, April 20 (a.k.a. my birthday): Not Your Mother’s Book Club discussion and signing at the Books, Inc. in Palo Alto. I already have a number of book events lined up for this year. I’ll announce even more events down the line, but for now I wanted to tell you everything I know. I would love to see you at any of these bookstores, libraries, and festivals! Launch party for Jenn Marie Thorne’s debut YA, THE WRONG SIDE OF RIGHT. Jenn and I will be in conversation, discussing how she wrote such a fantastic novel. Part of the New York City Teen Author Festival, I will be moderating a panel called “The Fame Game,” featuring the delightful YA authors Alison Cherry, Sarah Darer Littman, Maya Rock, Rebecca Serle, and Alecia Whitaker. I will appear on a panel at the Los Angeles Times Festival of Books. Exact date, time, and topic of my panel to be announced in the next couple of weeks, so keep an eye out. Monday, April 20, 7pm – a.k.a. my BIRTHDAY! 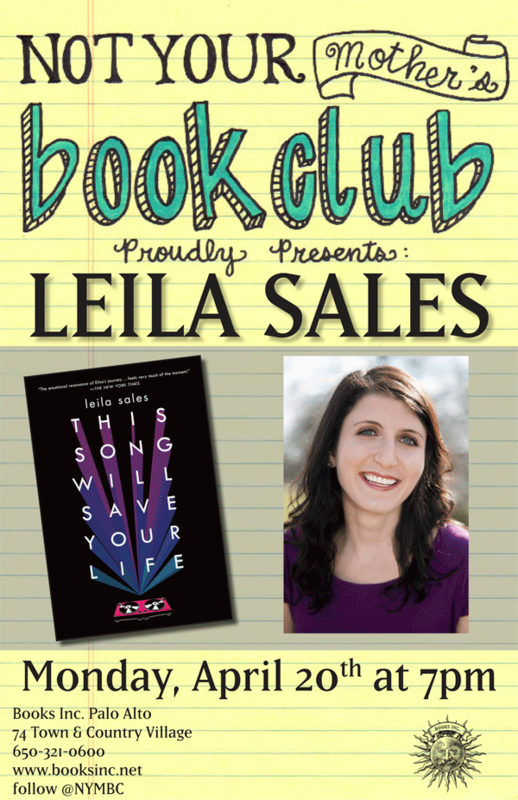 Paperback launch event for This Song Will Save Your Life at Not Your Mother’s Book Club at Books, Inc.
Boston-area launch party for my forthcoming YA novel, Tonight the Streets Are Ours, at Brookline Booksmith. September 15 is the very day the book comes out, so we will be celebrating intensely. NYC-area launch party for Tonight the Streets Are Ours at McNally Jackson. Whew. That is a lot. And watch this space, because there’s even more to come!